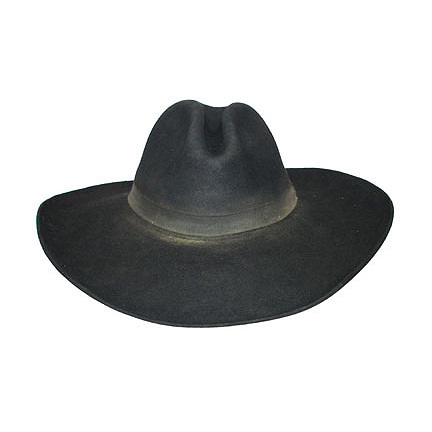 This black cowboy hat was worn by the character Wyatt Earp portrayed by actor Kevin Costner in the 1994 epic Western WYATT EARP starring Dennis Quaid, Gene Hackman, Bill Pullman, and numerous other distinguished actors. 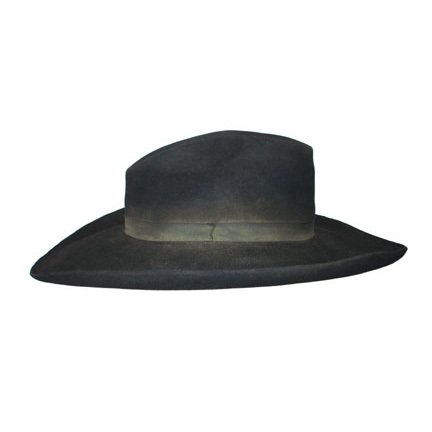 The hat was hand distressed by costumers for its use in filming and is in very good screen worn condition with the actor and character initials K.C./W.E. clearly written inside of the hatband. 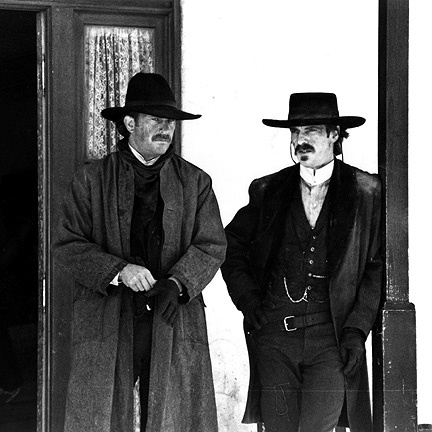 Mr. Costner wore this hat in numerous scenes of the film and most notably towards the end of the picture leading up to the infamous shootout at the O.K. Corral. 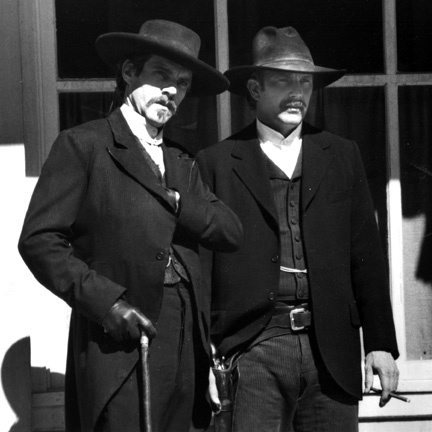 WYATT EARP was a sprawling contemporary Western that featured an impressive all star cast and was nominated for an Oscar for Best Cinematography in 1995 as well as winning the award for Best Drama Script by the Western Writers of America. Accompanied by a letter of authenticity from the costume house.